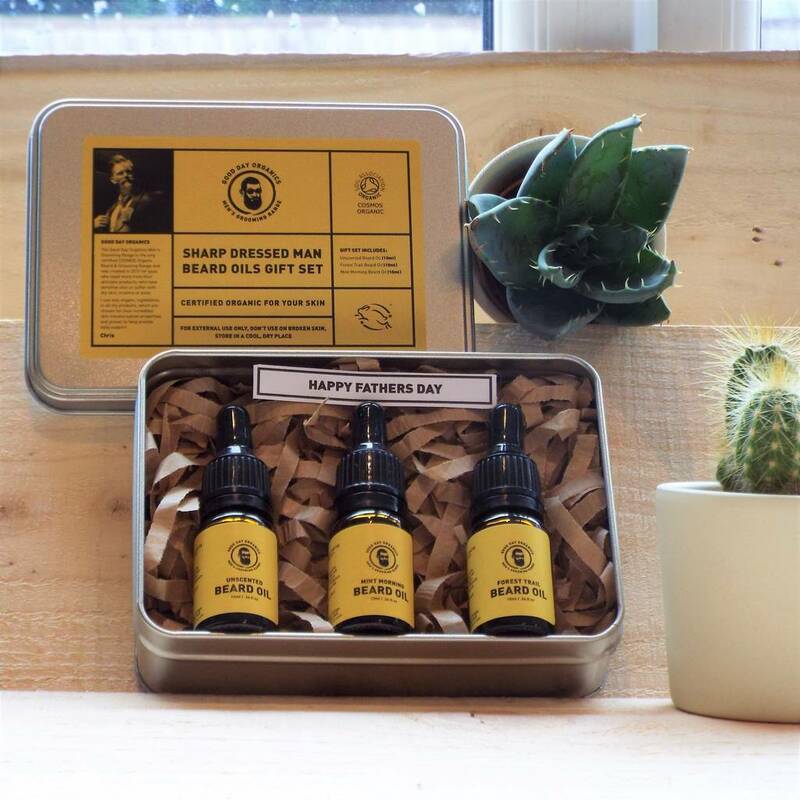 Handmade in Newcastle Upon Tyne, England and certified to COSMOS organic standard - the highest organic standard in the UK. 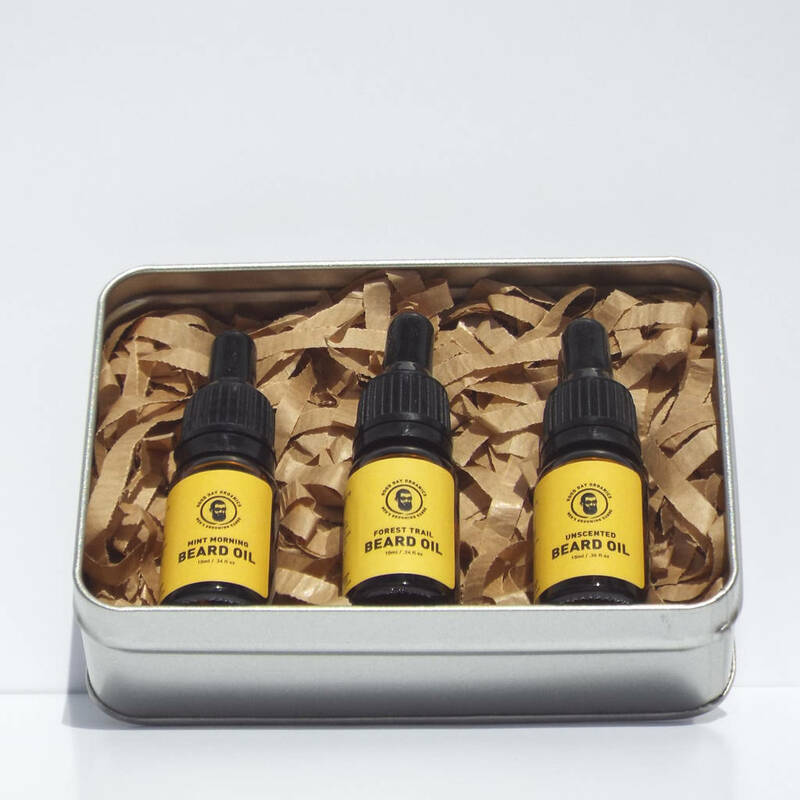 And is supplied in easy to transport and flight safe 10ml travel size glass bottles, inside an aluminium tin. 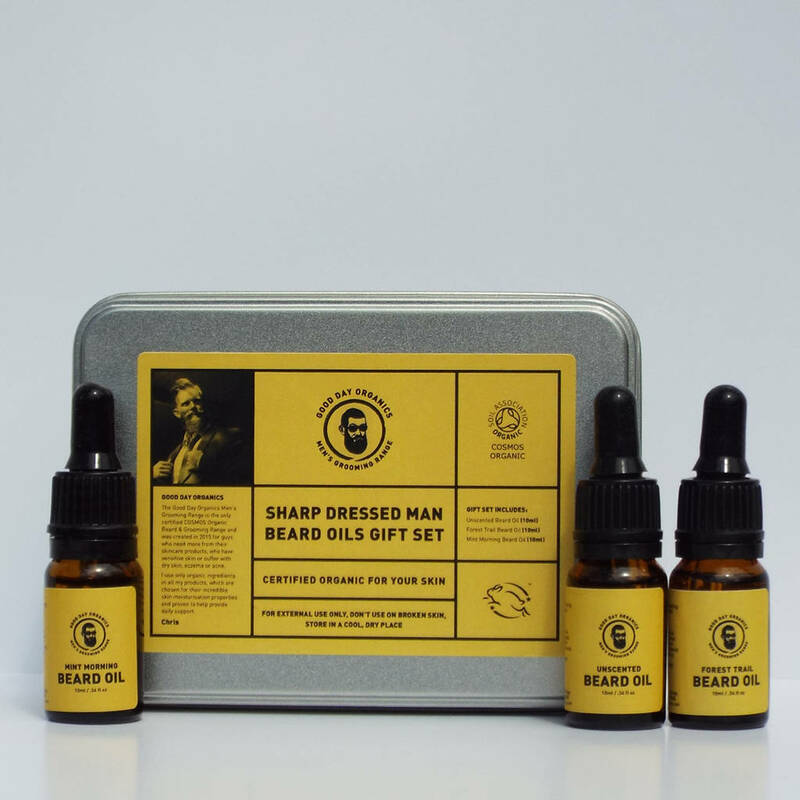 A perfect caring gift, 'Sharp Dressed Man - Beard Oil Travel Set' is certified organic, cruelty free, vegetarian & vegan friendly and is suitable for even the most sensitive skin. Because it is organic I do not use any chemicals, perfums, parbens or sulphates, the ingredients are 100% pure, 99.9% certified organic and 100% natural. - Designed for sensitive skin! Supplied in an aluminium tin. This product is dispatched to you by Good Day Organics.